It’s been some time that Baahubali has refused to leave our minds. 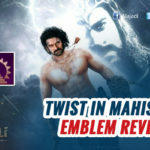 None of us seem to get enough of the movie, especially the strong and powerful character of Mahendra and Amrendra Baahubali played by Prabhas and Rana. Now that film audiences got their answer for the most-debated query in India Why Kattappa Killed Baahubali? the next big question in circulation is When’s actor Prabhas getting married? 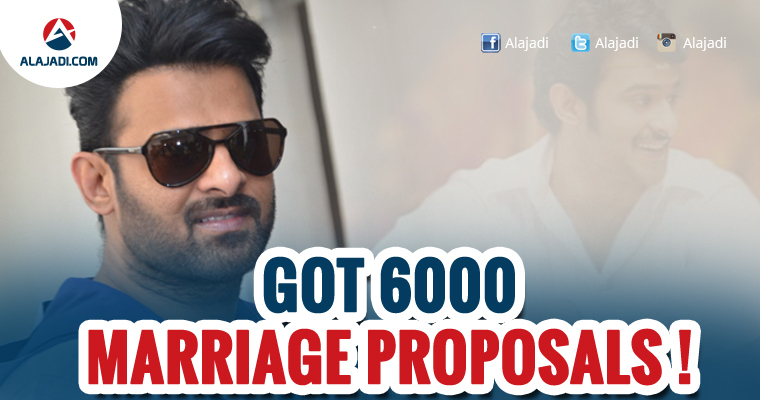 Surprisingly, Rebel star Prabhas got around 6000 marriage proposals from his female fans worldwide while filming for India’s biggest magnum opus from SS Rajamouli – Baahubali. However, Prabhas welcomed none of the proposals and only glued to work for last 5 years – that proves his commitment for films. 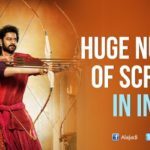 Meanwhile, during Baahubali-2 post-production, several unconfirmed reports suggested that his family members have already searched a girl whom he’d be marrying after the film’s release. But, there’s no update on it as of now. During the promotions, press-meets and interviews for ‘Baahubali -The Conclusion’, the star actor is being hit with many questions about his marriage to which he remains tight-lipped . On the work front, Prabhas will next be working for a multi-lingual action-thriller ‘Saaho’ under the direction of Sujith as part of his next project.